While Los Angeles has a number of neighboring areas to visit, few are as cultural and exciting than West Hollywood. Located close to the iconic Hollywood as well downtown L.A., it’s a great location to be in and also offers plenty of things to do on it’s own. If you’ll be visiting Hollywood, discover these fun facts about hollywood walk of fame. 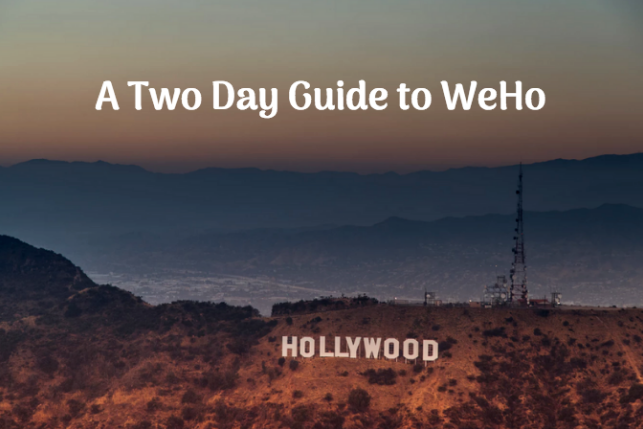 When staying in West Hollywood, click here for your guide to WeHo and read on to learn more about what you can discover in this fabulous city. One of the things you’ll have to make time for when it comes to West Hollywood is the shopping scene. If you love music, than a trip to WeHo won’t be complete until you stop by Amoeba, the world’s largest independent record store. This old record store takes up an entire block and is the largest out of the three locations (the other two being in San Francisco and Berkeley). Here, you’ll find a diverse music selection that spans two whole floors with and entire room that is devoted to jazz. But Amoeba is more than just a record and music store. It also hosts cultural events and shows. The store hosts various live shows by notable and up and coming bands as well as well as events such as live tapings of podcasts. Visit the website to see what’s coming up next. If books is your thing, be sure to stop by Book Soup, the cozy bookstore of your dreams. Here, feel free to roam the aisles, pick up a book and stay and read. While one of your days can be spent shopping through incredible boutiques and specialty stores that West Hollywood has to offer, another day can be spent on pampering. You’ll find a number of spas located throughout the neighborhood, any of which will be happy to pamper you give a massage, facial or skin treatment that you’ve been waiting for. Afterward, explore the cuisine and cocktail scene because West Hollywood has an impressive list of must try restaurants and bars.